Dr. Huh was born in Seoul, South Korea. He attended the University of Washington at Seattle to earn a Bachelor of Arts degree in Chemistry. He then continued his education at the University of Pennsylvania, School of Dental Medicine where he received his Doctor of Dental Medicine degree with recognition of outstanding performance in the pre-doctoral endodontic program in 2009. Since then, he has been practicing dentistry for 10 years. Following his education, he completed a one-year general practice residency program at the Bronx Lebanon Hospital Center where he gained more surgical experience. 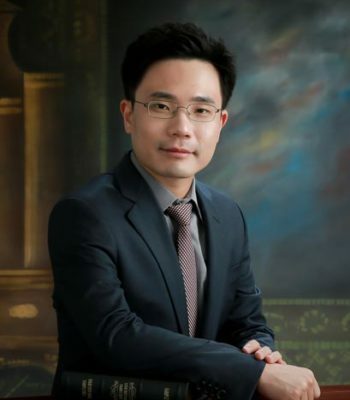 Dr. Huh also attended a one-year MaxiCourse at the University of Medicine and Dentistry of New Jersey, now known as Rutgers University, to further his practice of implantology. He became an associate fellow of American Academy of Implant Dentistry and also a member of American Dental Association and New Jersey Dental Association. Dr. Huh enjoys golfing, gardening, experiencing new restaurants, and watching movies. He is passionate about delivering quality dental care and you will always be treated with respect. If you would like to request an appointment for a future day and time, please fill out the form below. We are checking appointment requests when we are closed as well. Upon submission, a member of our staff will follow up with you directly to confirm scheduling. If you have any other questions, please contact our office at (856) 829-8668. We look forward to seeing you soon!